The educational programme consists of a theoretical, clinical and practical training. The course is divided into two parts (3+3 days). To complete the education as a RNFA, it is highly recommended that the trainee within the next 3 months assists during 20 procedures closely supervised by an experienced robotic surgeon. 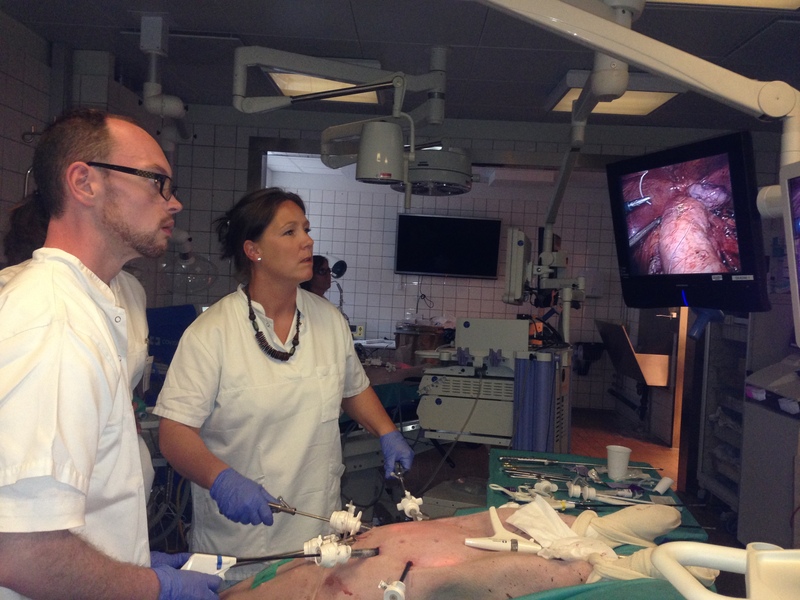 Two days laparoscopic training on black boxes. The third day is a combination of theoretical interaction and some practical teaching at the da Vinci robotic station. To finish part I there is a theoretical and a practical test as well as an individual evaluation. 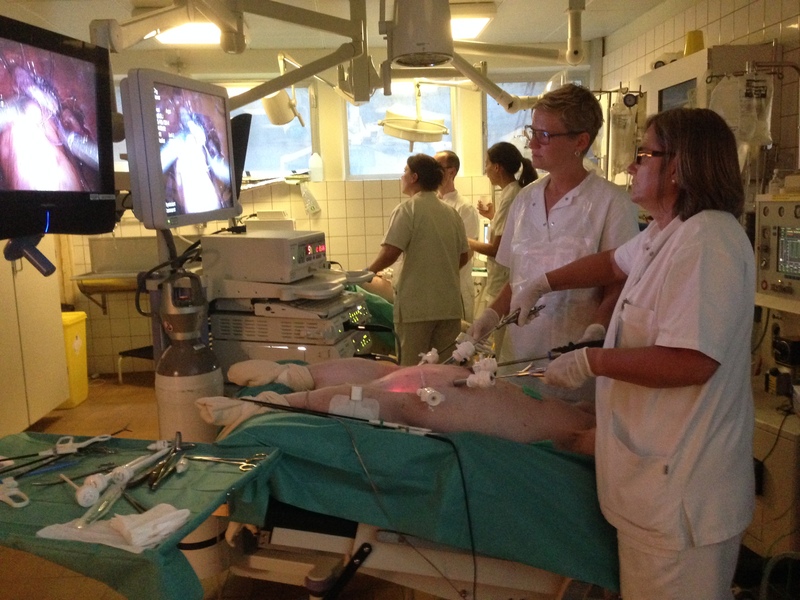 Three days of operations and assistance on live anathesiasized pigs – traditional laparoscopy. To finish part II there is a theoretical and a practical test as well as an individual evaluation. This final evaluation will be emailed to the trainee, nearest leader and a robotic surgeon at the department. Course material is forwarded app. 3 weeks prior the course as it is expected that the trainee has read/gone through the material before the course. In regards to Part I it is expected that the DaVinci manual has been read. Prior to Part II it is expected that the trainee has been watching several DVDs/film on the internet regarding professionally relevant robotic surgery (eg. www.davincisurgerycommunity.com, www.websurg.com, www.youtube.com). 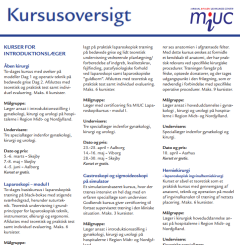 The course material is in English and the course will also be held in English unless all the participants are from Denmark. A urologist & a gynecologist. The course begins at 08.00 and ends at 16.00. All meals during the course are included. MIUC can be of assistance in regards to hotel reservation at the Hotel Gestus which is within walking distance of the course location. DKK 15,000 for both part I and part II. NB! In regards to no show/late cancellation less than 1 month in advanced the fee is DKK 3,000!